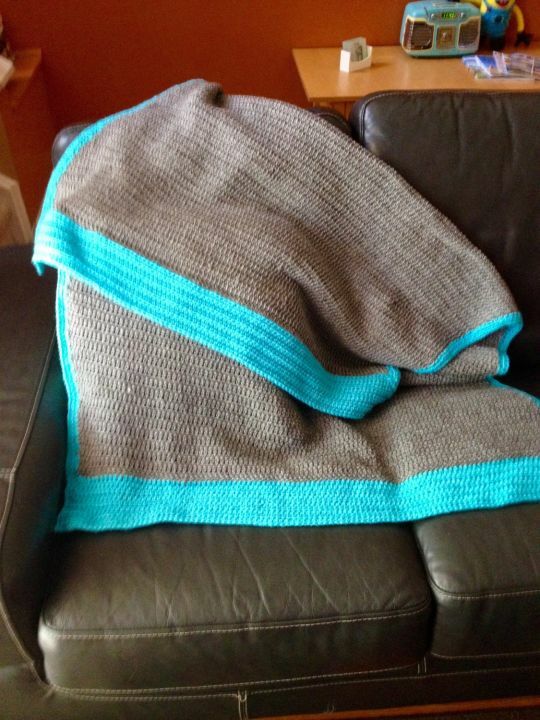 My very first Tunisian blanket. Sorry no, I watched a few videos on YouTube and did my own length and width from that point. The border is a HDC stitch. I just made sure to keep count as not to loose a stitch it gets a bit confusing picking up the last stitch. You can place a marker and it will make it easier.